Everyone is talking about an amazing new weapon for players using long pimple rubbers. We have it! The distance between the individual pimples is significantly greater for the "Feuerstich" than that of others rubbers. You save 16% (3,43 EUR). The distance between the individual pimples is significantly greater for the "Feuerstich" than that of others rubbers. Also, the pimples themselves are softer and more elastic than usual. This combination makes the "Feuerstich" more dangerous than every other long pimple rubber previously avaible. 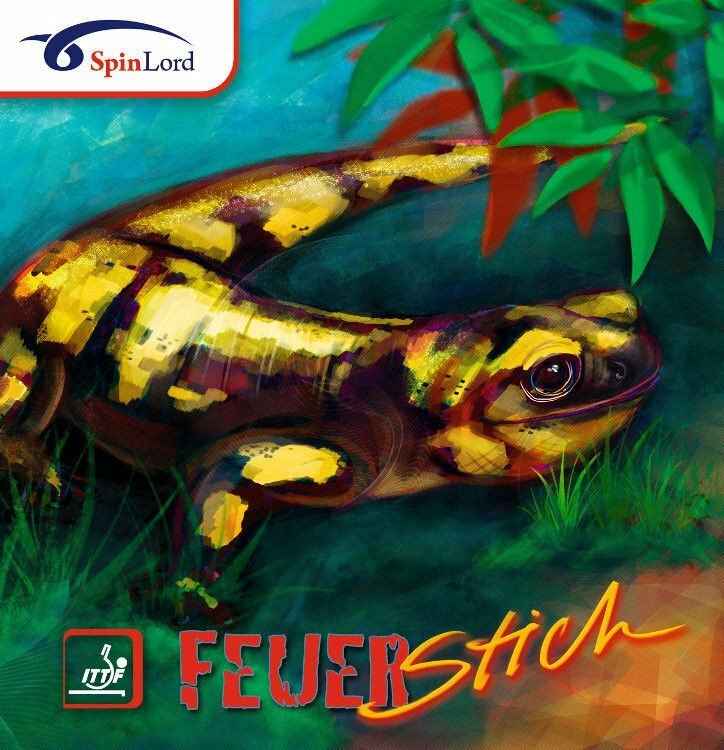 At the same time "Feuerstich" offers a very good control. "Feuerstich" is somewhat faster than SpinLord's other long pimple rubbers and is very versatile this rubber provides success both with offensive spin-destructive returns and with a classical undercut defense. "Feuerstich" already is SpinLord's fifth long pimple rubber. Following the world-wide success of our Dornenglanz and Blitzschlag, SpinLord now presents a long pimple rubber for all those players who are looking for an even greater destructive effect. Almost anyonce can sell new rubers, but only SpinLord offers real innovations.